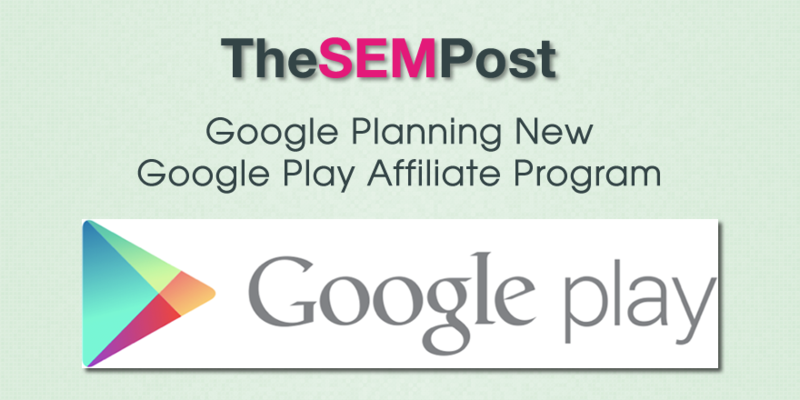 Google is planning to launch a Google Play affiliate program, according to 9 to 5 Google. The affiliate program would be similar to the one offered by Apple with iTunes. The affiliate program would initially be for only Google Play Movies and Music, but it would later include apps and possible hardware. Performance Horizon Group, the company behind the iTunes affiliate program, is said to be behind the Google Play affiliate program too. Google also had a job opening for a Google Play Affiliate Manager last December, supporting the plans for an affiliate program. 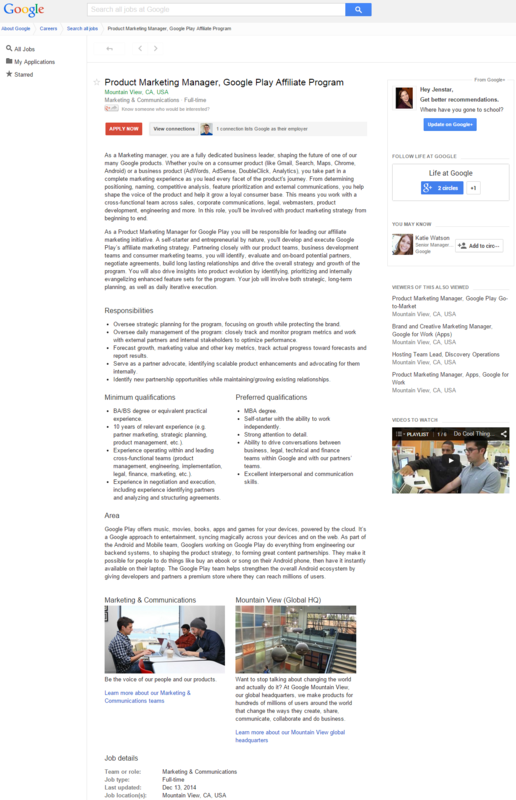 Here is the job listing from December. This is one area that Google has been behind on, ever since it closed its previous affiliate programs. Many websites promote both Apple and Amazon through affiliate programs but often do not link to Google Play because they cannot monetize those links. With an affiliate program, those webmasters could earn commission on Google Play links too. It is good news for affiliates looking to expand their offerings too. It is unclear how the affiliate signup process would work, but it would likely be similar to Apple’s own program. 9 to 5 Google also reached out to Google for comment and while they did not get further information, the response does seem to confirm the affiliate program. When we reached out to Performance Horizon Group inquiring about the existence of any soon-to-launch Play Store affiliate program with Google, the company responded by thanking us for reaching out regarding “the Google Play affiliate program,” and CC’d “Google Play’s affiliate team” to provide additional information on the matter. The email address — specifically play-affiliates-help@google.com — was labeled “Play Affiliates Support” in Gmail. A quick Google search of the address turns up nothing on public web pages. This will definitely be something to keep an eye on, particularly when they begin accepting affiliates into the program.